At Skin Deep Day Spa we help you care for your body and be the most beautiful you inside and out. Nothing Compares to the Hydrafacial! Only Hydrafacial uses patented technology combined with nourishing ingredients to create an instantly gratifying glow. We offer Boosters that tailor your treatment & super serums to address specific skin concerns. Frequent treatments help restore skin health. Customize your spa visit with one of these relaxing add-on therapies to enhance your experience. Scalp Ritual, Body Brushing, Warm Stone, and much more. Scalp Ritual, Body Brushing, Warm Stone, Foot Soak, Dermaplaning, Microdermabrasion, and much more. 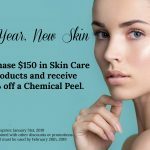 Give the gift of beautiful skin and relaxation. 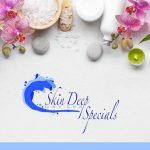 Every service at Skin Deep Day Spa is designed to help alleviate stress, refresh your body and skin, and calm your mind. Why not share this amazing experience with someone special today!